Niagara Falls is a vacation destination for couples, families and groups of all kinds. So, it seems totally natural that famous people love to come and spend time watching the splendor of the falls and experiencing the thrill the falls instill. 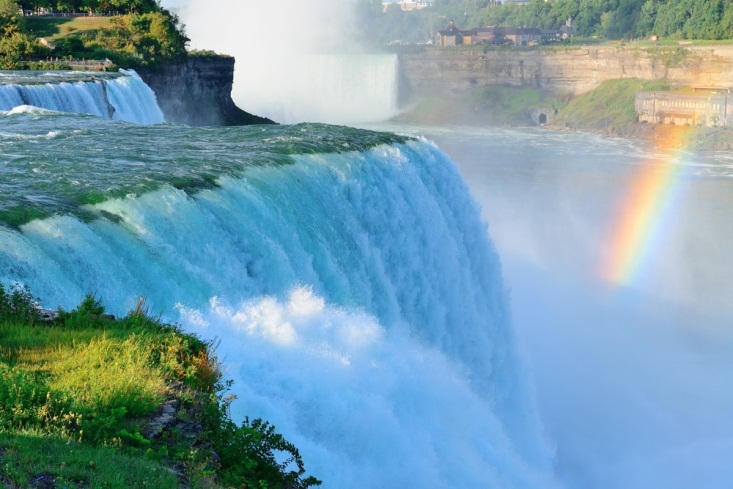 Niagara Falls has been a must-see location for centuries, and celebrities from every decade have graced the shores of the river to behold the wonder and beauty. Though there are truly too many to name, here are a few of the more outstanding celebrities of the present and past who have visited Niagara Falls. Though perhaps he is not the most recognized of the Bonaparte brothers — his older sibling Napoleon certainly stole the show with his militaristic antics — Jerome and his wife chose to honeymoon in Niagara Falls, which kicked off Niagara’s moniker “Honeymoon Capitol of the World.” Reportedly, Jerome and his wife traveled all the way from New Orleans by stagecoach to see the magnificence of the falls. Other famous faces of the time were then inspired to visit for their honeymoons, and a tradition was born amongst the laypeople as well. 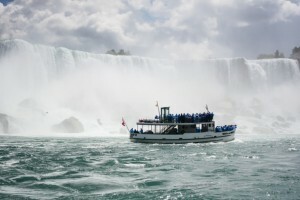 In the past couple of years, good King George VI has received quite a lot of press from the release of a movie chronicling his battle with a speech impediment, “The King’s Speech.” However, the movie failed to depict a famous and fantastic voyage the king and his family made to Niagara Falls in 1934. You can learn more about the king’s trip by visiting the statue erected in his honor during your own stay in Niagara Falls, Ontario. Niagara Falls’ popularity has made it a hot spot for movie production as well as a vacationer’s dream. The mystical feeling of the falls as well as their known ability to encourage passionate love has inspired many a filmmaker to set his or her film amidst the falls. Marilyn Monroe’s hit movie “Niagara,” a film noir following two honeymooners to the region, was shot on location in Niagara, as there was no other way to accurately capture the true essence of the falls. Shirley Temple made headlines earlier in her career by visiting Niagara Falls. Though her trip took place after she was quite grown and in fact married — her name changed to Shirley Temple-Black — the lively and jovial child actress continued to captivate with her beauty and charm. That enigmatic and important princess of England came to Niagara with her two young sons in tow in 1991. Princess Diana participated in several popular Niagara attractions, many of which are still active today. If you want to see Niagara like a princess, be sure to book a ticket on Hornblower Niagara Cruises (formerly Maid of the Mist), which brings you right up close to the bottom of the falls, and take a few walks around the surrounding parks and hiking trails.